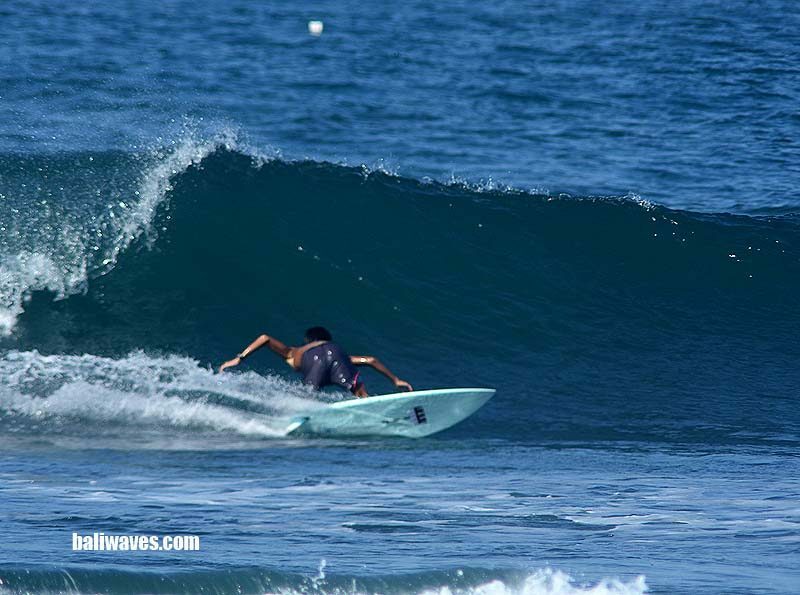 Hi folks and welcome back to the baliwaves (keeping Bali surf reports real since 1999, by surfers for surfers) for our latest news and best possible views. From right here on the No.1 tropical surfing holiday destination and gateway to Indonesia’s surfing paradise, Bali. 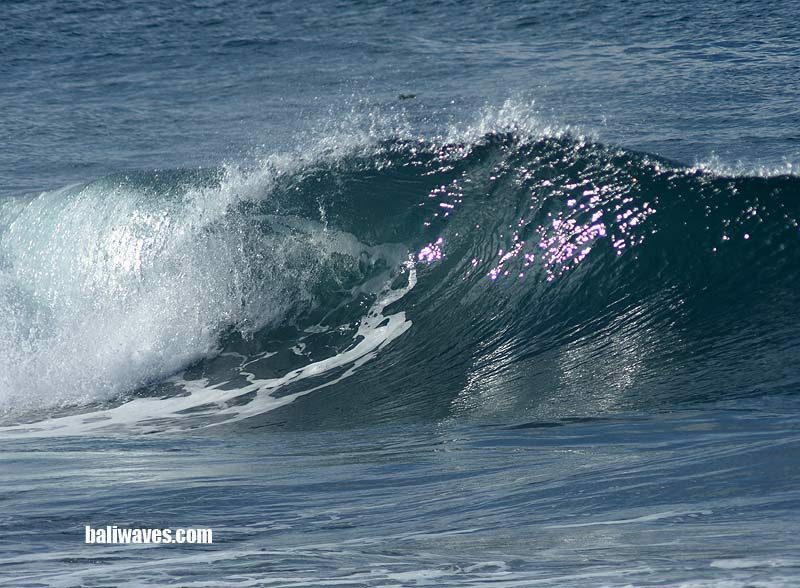 We’d also like to give a big hello to all our new viewers finding baliwaves and we hope you like what we are doing. 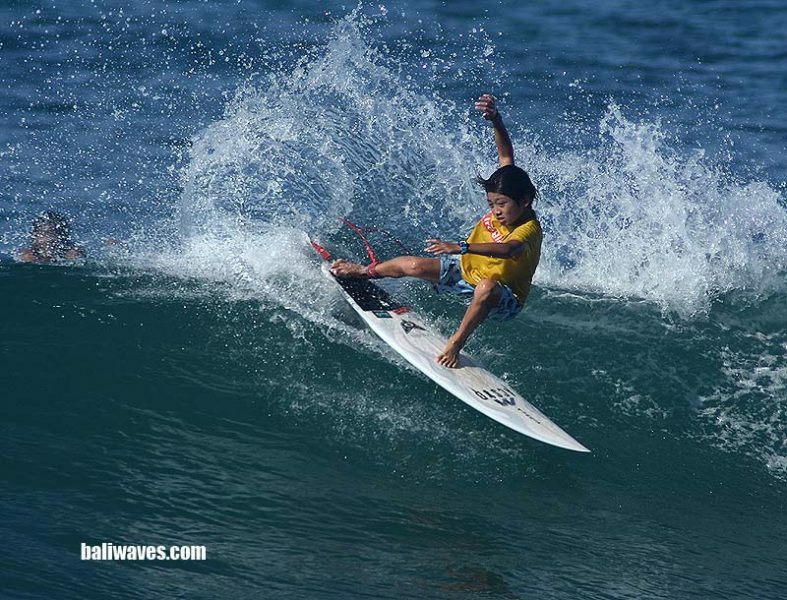 We were in fact the first surf related website for Bali / Indonesia on the net and still going from strength to strength. Take a good look through our home page menu and you’ll find everything you need on Bali to keep the stoke red lining. Ok so on the first of Feb it was pretty much an early morning wash out with rain and on shore wind here along the West Coast. After 3 days of great weather the worm turned. Wave height from Uluwatu up the beach breaks of legian was only in the 1-2ft (at best) range with the wind out of the West. Yesterday the 2nd and it wasn’t a whole lot better but we took a run back up to Canggu to fine wave height slightly better and in the 1-2ft+ range. Definitely best suited to the grommets and anyone else that was stranded up there. Canggu is a long way from anywhere so once your there your there. Today the 3rd and our man is over on the East coast this morning and has phoned through to call wave height in the chest to over head high range (2-4ft). Clean early morning conditions with a light off shore wind before glassing off and then the wind swinging to the South West and cross on shore. 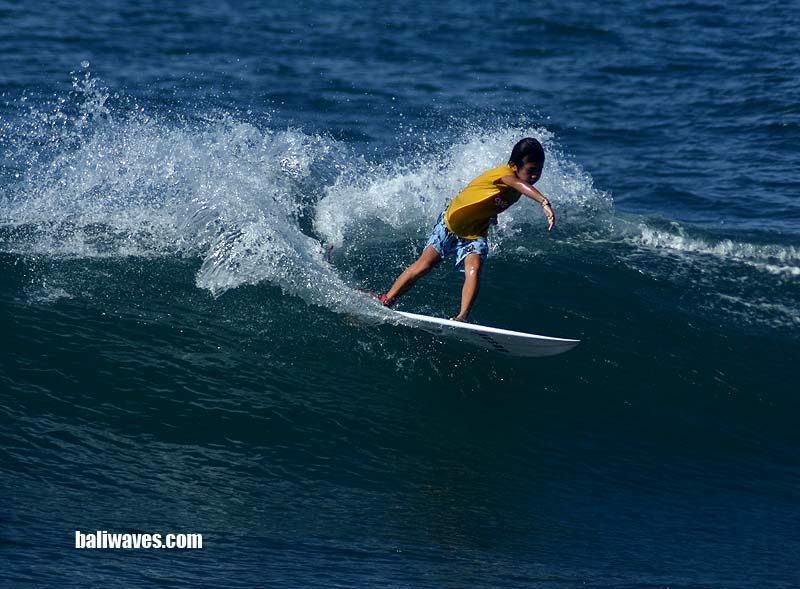 Ketut said there were around 20 surfers in the water on the Main Break and another handful down at Krupuk Pt. So we should have a few more fresh photos from Keramas when our man gets back to HQ. Weather wise this morning it’s been pretty good with lots of blue sky here in South Kuta. Right now at 10.15AM the temperature is a warm 28 degree’s Celsius and the wind is fresh out of the WSW.